Billionaire investor John Henry listed his massive retreat in South Florida this week. 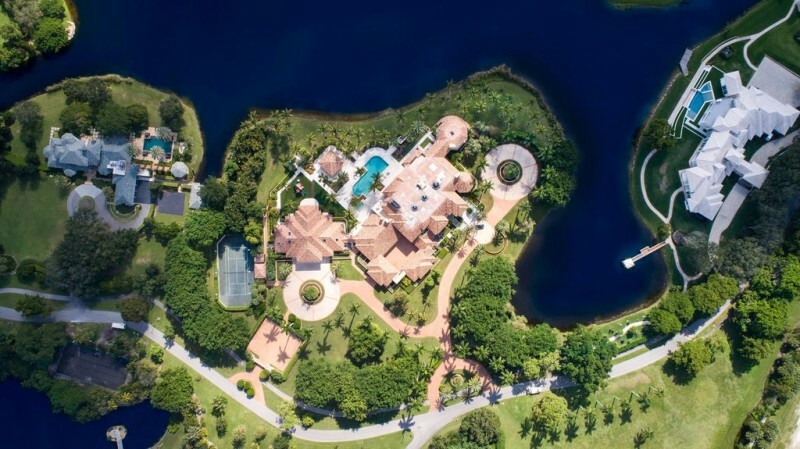 The house is a monster—spanning some 41,000 square feet of interior living space—and is situated on its own peninsula in Le Lac, a guard-gated community in Boca Raton. The estate is called Tashun, or ‘The House of Peace’, and incorporates Bali modern and Japanese design influences. The main house is temple-like, and accessed through a dramatic, looming recessed entrance. The price of peace, in this case, is $25 million…call it spiritual inflation, a defining feature of the zeitgeist. Inside, the home begins with a foyer that offers an astonishing series of levels, with plenty of satin-finished natural-toned hardwood to please the eye. A curving staircase rises to a second-floor gallery, while risers accumulate to open up options to enter the living spaces in the hinterlands of this sprawler. Unusual design details for the style are rounded edges and skylights. A few of the rooms are downright marvelous, including a partial rotunda sunroom, a full rotunda entertainment room/lounge with a striking plank ceiling and a wet bar. The home’s comprehensive approach to creature comforts leaves little out, working in an indoor/outdoor Mediterranean pizza café with a brick fireplace, a stuffy wood-paneled second-floor library with a wall of windows looking out over the great room, and a 1,000-bottle wine cellar. The property extends to over six acres; the house gets the meat of the lot, but there’s still room for a pool, a covered pavilion, a tennis court, and a few chunks of tropical forest. John Henry’s current interests include controlling ownership of the Boston Red Sox and Boston Globe Media. His net worth is estimated at $2.6 billion.